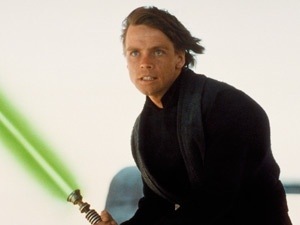 My favourite character in Star Wars is Luke Skywalker. He has a lightsaber that is green! Hi Cole – I wonder why his light saber was green…GREEN THOUGHTS maybe? He does have the force and is able to stay calm, cool, collected even when storm troopers are shooting at him! He is my favorite too. Be like Luke … not Darth Maul. Cole, I have NEVER seen Star Wars! Can you believe it?!?!? Do you think they are too scary for me? That is just so sad Ms. Hewitt. Are you looking forward to the new movie? I still remember when your Dad and I went to see the first movie. I must admit, I like Peincess Leia. Girl power! PS: See you tonight for dinner.